Please check individual show for ticket details. Congleton Information Centre can be contacted on 01260 271095 or by email. 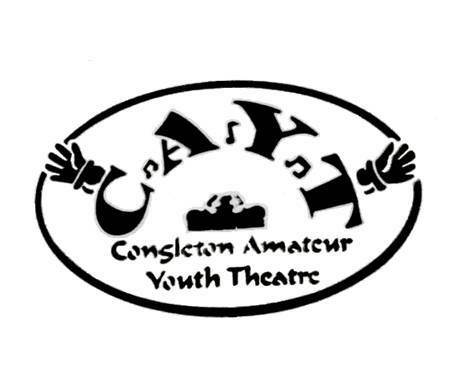 Centre Stage Youth Theatre present this amazing Musical show. Presented 23rd to 30th March, no performances on Monday 25th and Tuesday 26th. Tickets (£12) from Ticketsource or Congleton TIC 01260 271095. 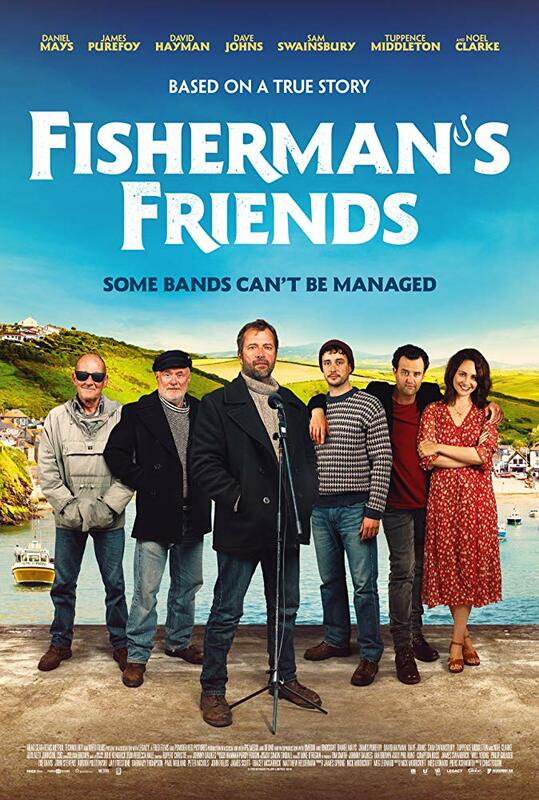 Two showings 2.30pm and 7.00pm. Queen Anne holds the throne while her kingdom is at war with the French. But her ill-health and strange sensibilities mean it’s down to a trusted friend to take charge within a turbulent palace. 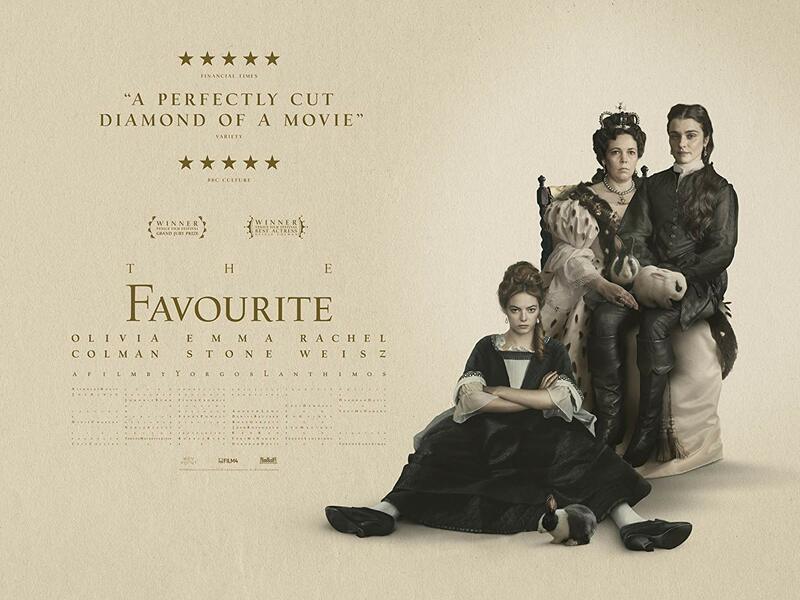 The Favourite is directed by Yorgos Lanthimos and stars Olivia Coleman, Rachel Weisz, and Emma Stone. It’s the early 18th Century, and England is ruled by Queen Anne (Olivia Coleman). Despite the country being at war with the French, the Queen is fragile, physically and mentally. It’s down to her most trusted ally and friend, Lady Sarah (Rachel Weisz) to rule secretly in her stead. The Favourite is the newest film from surreal filmmaker Yorgos Lanthimos (The Lobster, The Killing of a Sacred Deer). Starring frequent collaborator Olivia Coleman (Murder on the Orient Express) as Queen Anne, Rachel Weisz (Disobedience) and Emma Stone (La La Land) co-star in an unusual historical drama that’s set to become a future classic. For the last twenty years Wychcraft Big Band has enjoyed entertaining audiences all over the North West. We are a local group of twenty musicians who love playing Big Band arrangements fro the 1930s to the presnt day. Our playlists feature classic numbers made famous by artists such as Glenn Miller, Duke Ellington, Count Basie, Frank Sinatra and Micael Buble. We'll get you "In the Mood" and "Fly you to the Moon" with our tunes! Our Musical Director, Simon Lodge, studied at the Royal Northern College of Music and leads us from the front on trombone and vocals. You can follow us at www.wychcraft.org and www.facebook.com/WychcraftBigBand. Wychcraft is proud to be associated with the Jenni Lee Performing Arts Foundation. Tickets £10 from Congleton TIC on 01260 720195 or from Ticketsource. he has a steady job at a prominent New York newspaper, he’s just become engaged, and he gets to visit his sweet spinster aunts to announce the engagement. Mortimer always knew that his family had a bit of a mad gene -- his brother believes himself to be Teddy Roosevelt and his great-grandfather used to scalp Indians for pleasure -- but his world is turned upside down when he realizes that his dear aunts have been poisoning lonely old men for years! When Mortimer’s maniacal brother, Jonathan. (who strangely now resembles Boris Karloff) returns on the night that the aunts were planning to bury the newest victim, Mortimer must rally to help his aunts and protect his fiancé -- all while trying to keep his own sanity. as well. 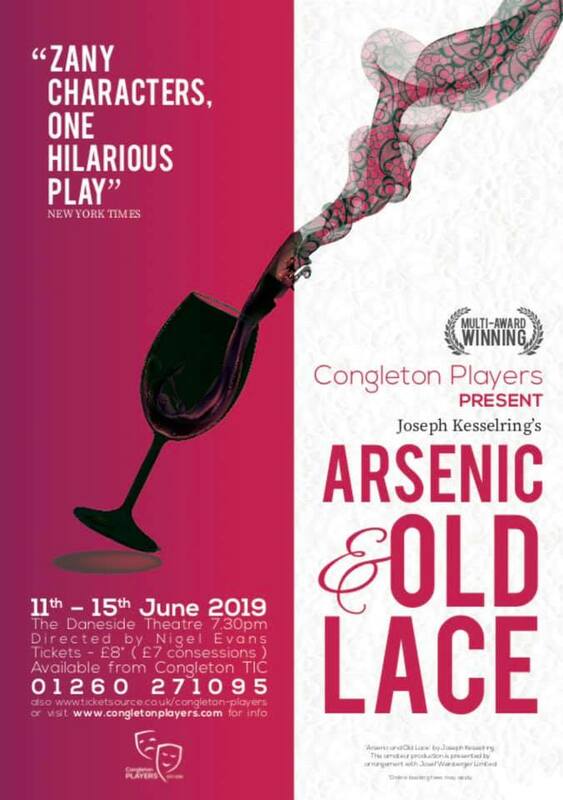 An uproarious farce on plays involving murder, Arsenic and Old Lace written by Joseph Kesselring has become a favourite amongst theatres. 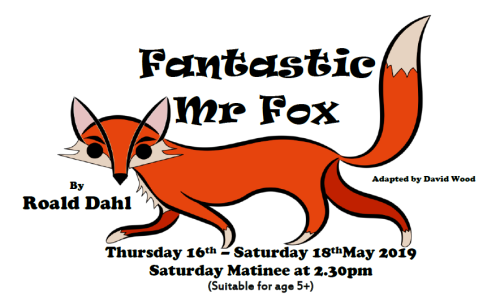 Tickets £8 (£7 concessions) each night, available online and from Congleton TIC. See here for the school's website. 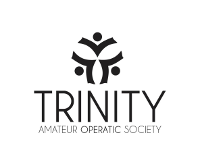 Come and celebrate the history of musical theatre with Trinity AOS this summer – 100 Years of Musical Theatre. We will bring to life some of the biggest hits from shows such as The Phantom of the Opera, Les Misérables, Wicked, Oklahoma, Guys & Dolls, Miss Saigon and Chicago. There’ll be something for everyone! 42nd Street is the song and dance, American dream fable of Broadway, featuring the iconic songs, "42nd Street", "We're in the Money", "Lullaby of Broadway", "Shuffle Off To Buffalo", "Dames" and "I Only Have Eyes For You". With one of the biggest casts of youngsters you will see, this is a musical like no other, entertainment doesn't get bigger than this. Young Peggy Sawyer is fresh off the bus from small-town America and just another face in the chorus line on Broadway's newest show. 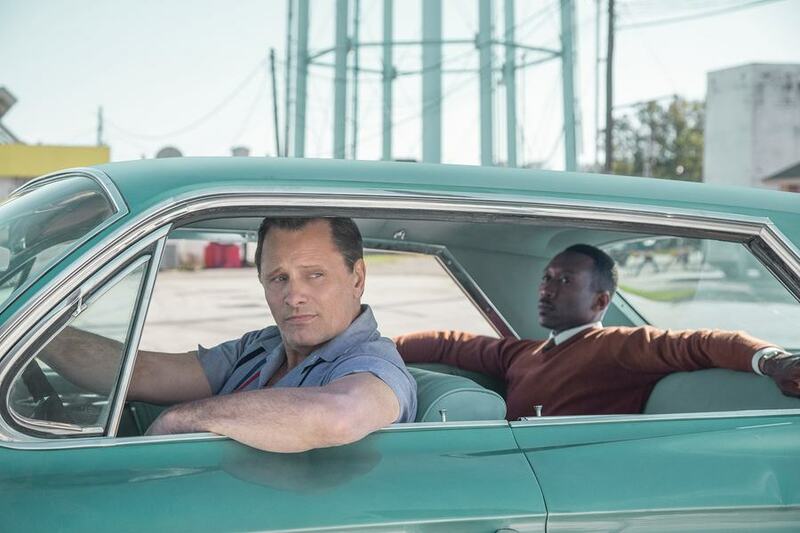 But when the leading lady gets injured, Peggy might just have the shot at stardom she;s always dreamed of! 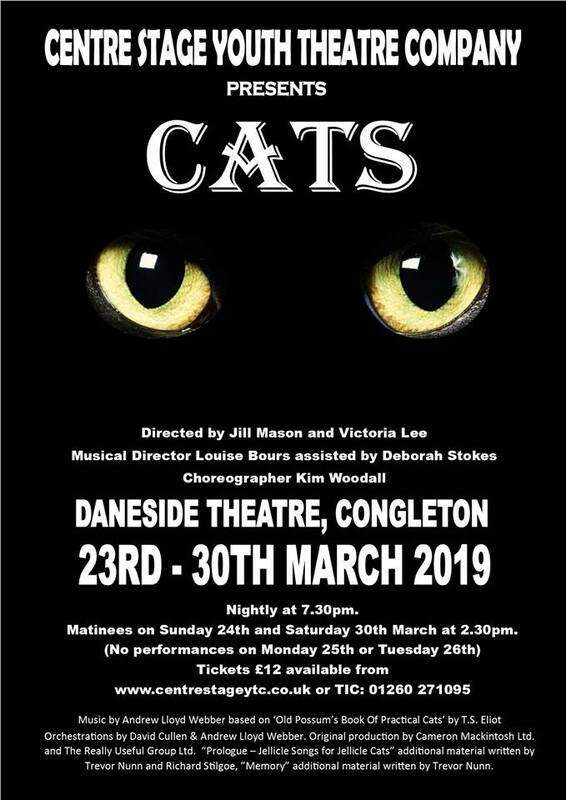 For tickets please contact Congleton TIC on 01260 270195 or Louise Carter on 01260 290050.